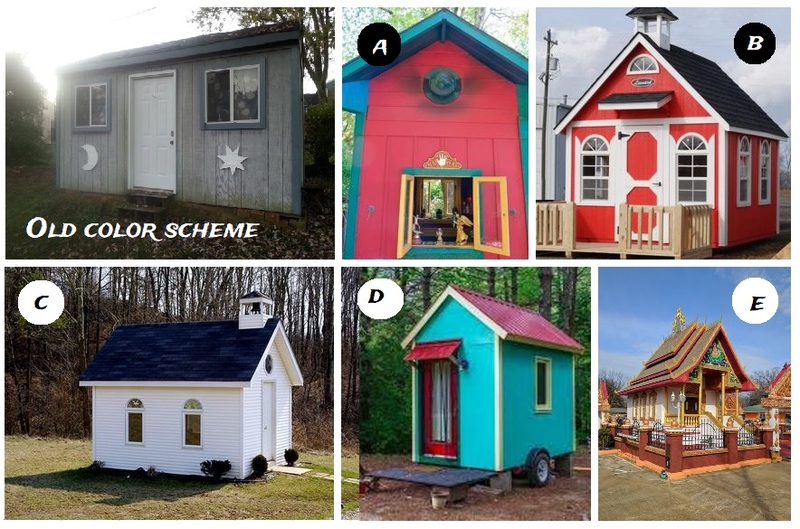 Polls, Goals, and Folderol: Training Involution #111 | Robert Mitchell Jr.
← Poll: Which Temple Paint Job is Best? We really want to the temple to be attractive to the general public. So go straight to the bottom of this page and vote in the temple paint job poll. You made time to take the “Which Jedi are you?” poll on Facebook, right? So make time for ours, willya? Stop futzing around — do you want to get somewhere or not? Get yourself a planner, set some goals, and start making a plan to achieve them. Need help? Become a Patreon supporter and you’ll get access to my organizational method — a 20 -minute how-two video, a action plan worksheet, and detailed instructions. Click here. Why should you care about my method? It’s been perfected over 30 years and it’s what’s allowed me to get so much done. My resume here. This gets even more important with age. The older you get, the shorter, more intense, and more focused your training needs to become. As recovery times slow, trade volume for intensity to maintain performance. Work harder and rest more. Tune up. Remember doubling down? I still recommend that once in a while. But today, do the opposite. Instead of doubling a lackluster training session to break through a plateau or stretch a limit, pick something you crushed — something that seemed rather easy — and make it harder by removing the dead wood or increasing the intensity. Don’t lengthen it, tighten it. Put it in a pressure cooker. Example One: Let’s say this month’s constitutional is easy for you. Try this — drop the two easiest exercises and see if you can cut your time by at least 33%. Example Two: Let’s say you did Wrestling Conditioner #4 and just wasn’t that hard. Try adding a #10 weighted vest. Love the tip about wearing a weighted vest. I’ve used weighted vests for a long time to make various types of exercise more intense!